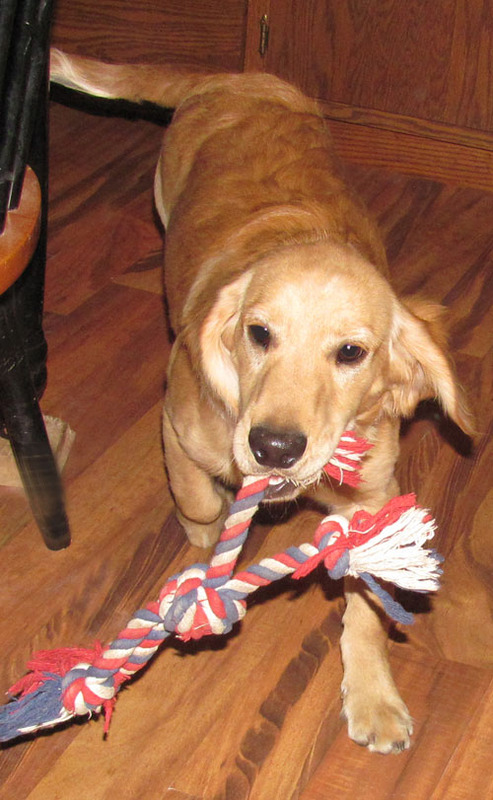 Dakota Sport Retrievers come in all colors and patterns! 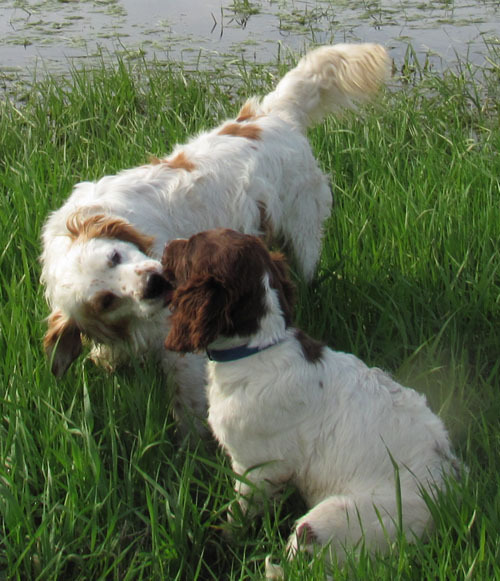 But we will explain some of our breeding matches better here! 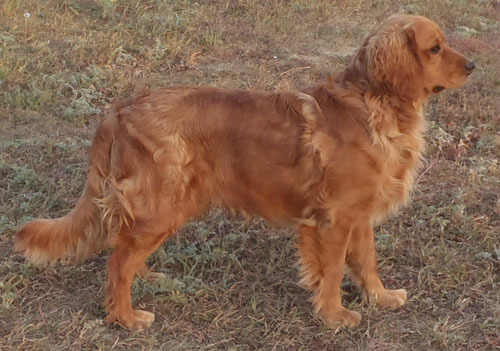 We can get such a wide variety of colors in our Dakota Sport Retrivers because American and English Cockers come in many different colors and patterns, and because we are breeding multi generation, registered dogs. We may occasionally do a little mixing and matching. But for the majority of litters, the parents will be matched up as shown here. 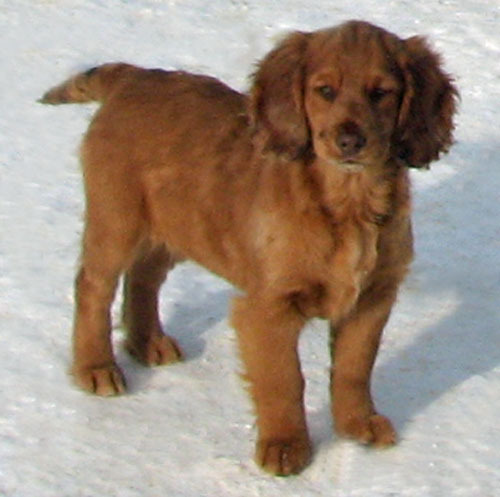 RED: The first breed that we ever bred, starting back in 1988, is Irish Setters. We only bred one dog.. But we have always loved the red color! We are now working on a very red line of Dakota Sport Retrievers! Most puppies will be red or red & white. 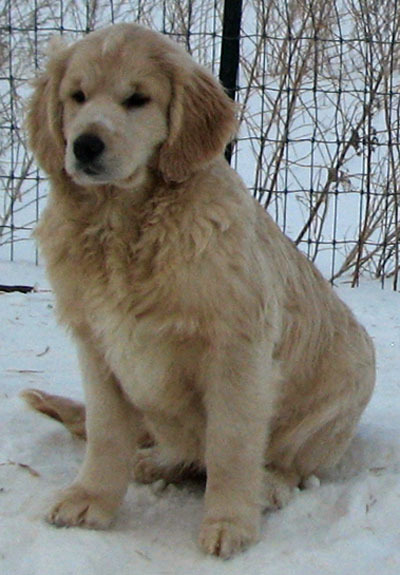 Gold colored puppies are also possible from these dogs. 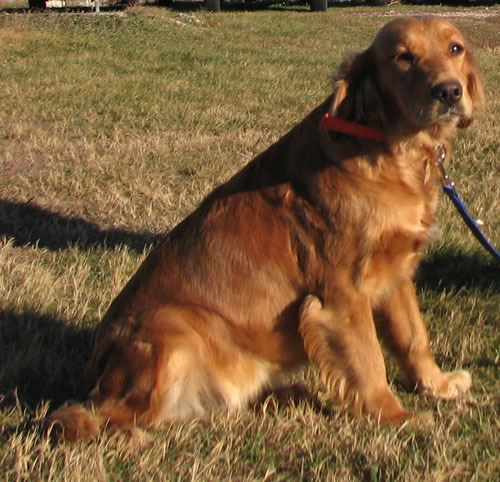 Tonka will be bred to our red and red & white females, Ami, Cola, and Dahlia, for our red line! 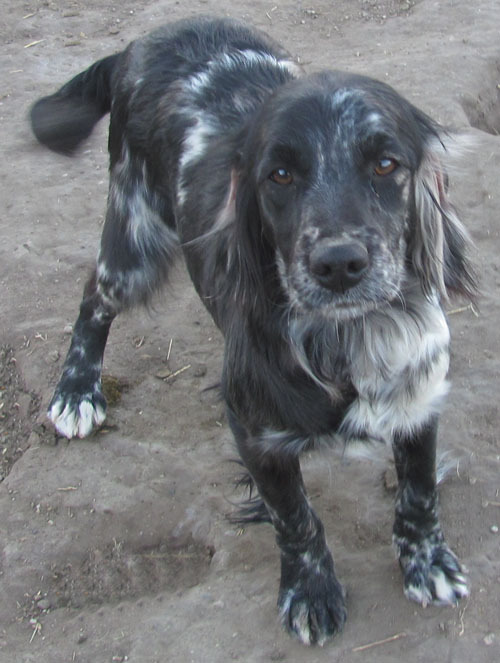 Blue: We have both, blue merles and blue roan Dakota Sport Retrievers! 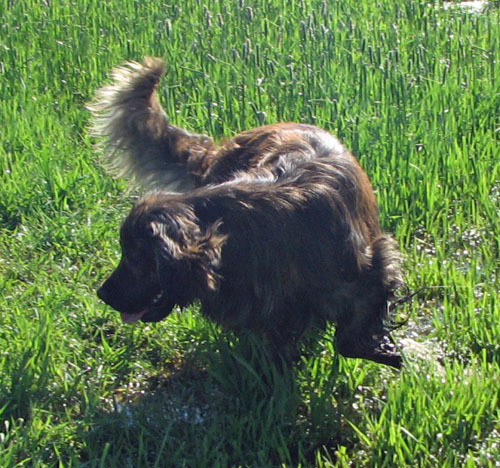 Roan effects the white of the dog, where merle effects the solid, darker color. We hope to someday get a few puppies that are both, merle and roan, which may effect the entire dog, for Blue Dakota Sport Retrievers! Blue will be bred to our merle females, Sky and Snickers! 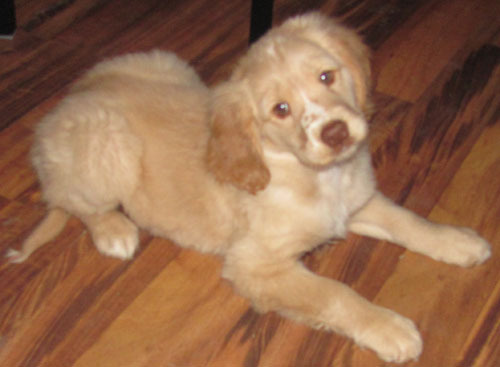 All puppies may not be roans and merles, or even one or the other. Some may be other colors as well. We will just have to wait and see? 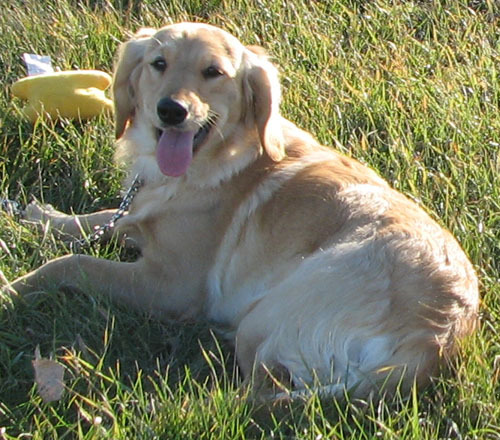 Blue may also be bred to other females. Cream: The cream color is very pretty! We are working on a special, very light cream colored line! 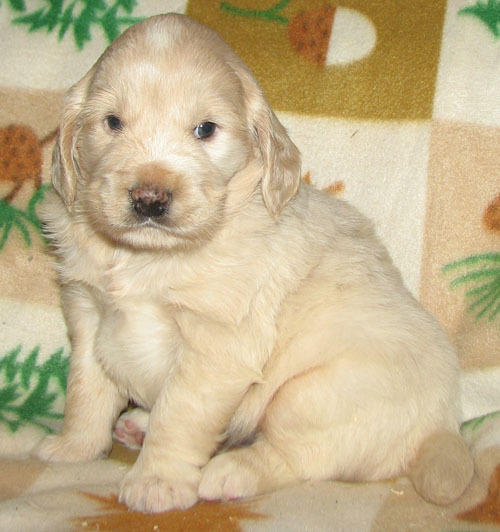 The shade of the cream colored puppies from these dogs will vary from almost white, to a lighter gold color. Most will be the typical cream color. Al will be bred to our cream females, Gemma, Pebbles, and Sprite. We may also breed him to other girls. Al can produce red and other colors as well! Parti Colored & Hunting Line: Parti colored simply means spotted. The base color may be any color, with white. 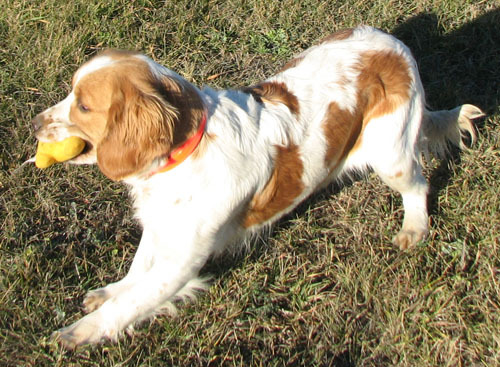 We find that the spotted Dakota Sport Retrievers tend to have a bit more of a Hunting Dog look to them. 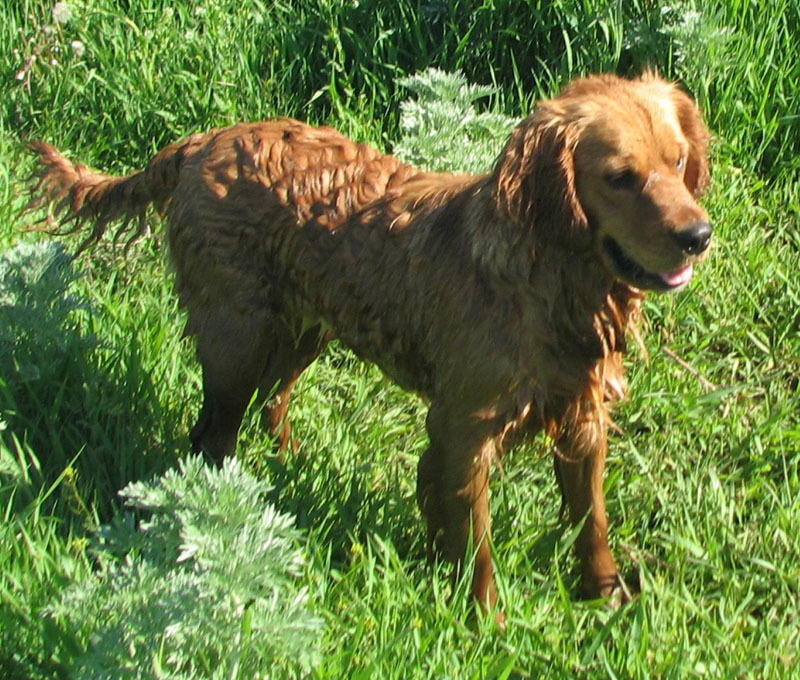 Even though all of our Dakota Sport Retrievers have the potential to be trained as hunting dogs, since they all do love water and love to retrieve, we do have a special line that are more bred for hunting! These dogs were carefully selected to have the bloodlines, skill, ability, look, type, muscle, coat, and instincts as hunting dogs. Not all will be spotted, but many will be. Our best hunting puppies are sired by Blue. Our Parti females are Ami, Fiona, Remi, and Ellie. Blue is our only Parti male. However, Blue also is a roan, giving his white spotting a bluish coloring. 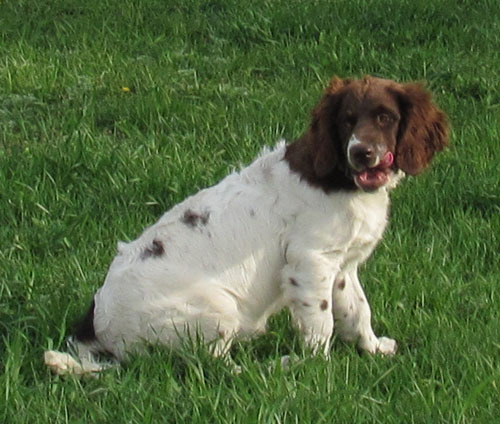 Many Partis do have ticking, also known as freckles, as seem on this black & white Parti's legs. Chocolate: To get the chocolate color, usually both parents need to be chocolate, or to carry chocolate. We already know that "Blue" does not throw chocolate puppies at all. We are not sure with "Tonka" yet, but did breed him to Cocoa to find out! 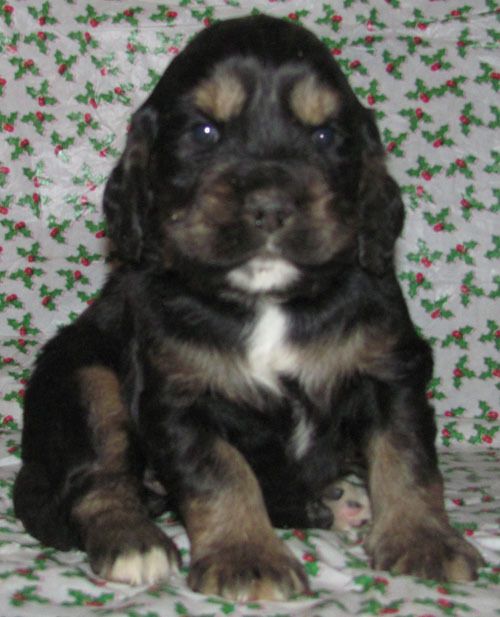 However, Al is a chocolate factored cream color, (brown nose), and does throw chocolate colored puppies! 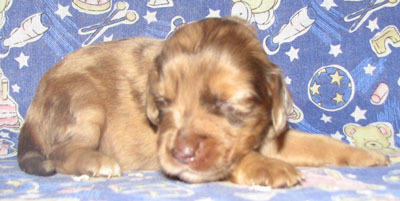 When Al is bred to these girls, some of the puppies will also be chocolate factored creams, like Al. But others will be chocolate colored! Al also does carry the parti pattern. We may also get chocolate roans, chocolate sables, and chocolate merles! Snickers base color is chocolate. However, she does have both, the sable and the merle dilution genes. Which makes her appear red. But she is not really red colored. Al is a chocolate factored cream/light gold colored boy, who does carry the parti pattern, as well as the red color. We can get a variety of colors & patterns out of Al, depending on who we breed him with. 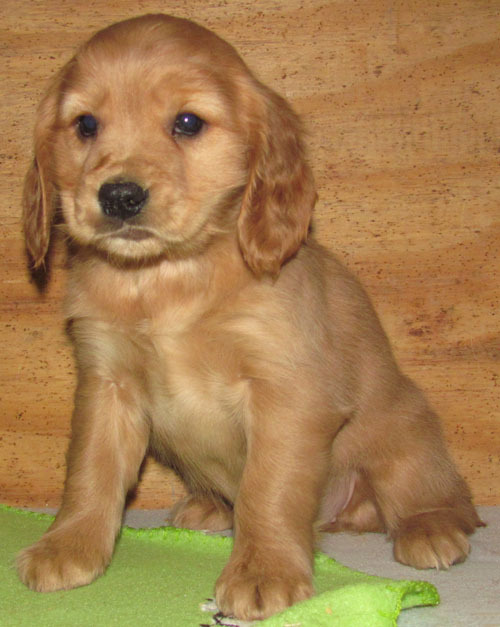 Gold: We may get gold colored puppies in any litter! Creams and reds are just different shades. Anything between a light cream or a dark red, becomes gold. 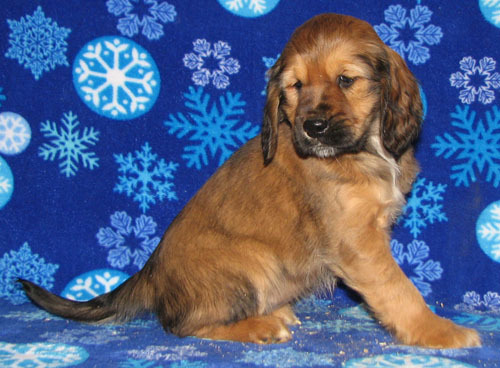 Sometimes it is a lighter gold, medium, or on the darker end.We even sometimes get gold colored puppies born in litters with two dark parents, such as Blue + Sky. More about Merle! 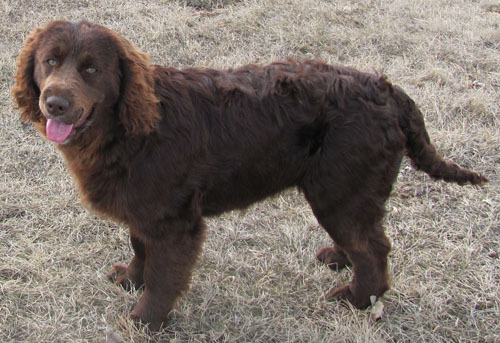 The merle color only shows up on dark colored dogs, such as black or chocolate. Merle is a color dilution. The only base colors are gold, in a variety of shades, chocolate, and black. After the three base colors, there are different color dilutions and patterns, changing the base color. Merle does not change the white coloring on a dog, or the gold/cream/red coloring. 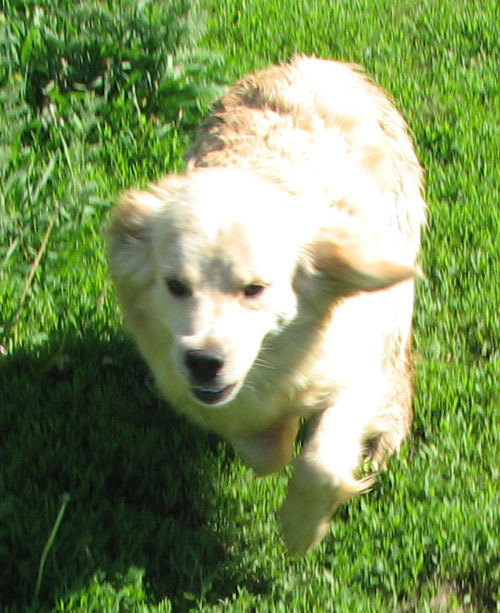 Sometimes a cream/gold/red dog is a merle, with no visable markings showing that it is a merle. The only way to know for sure that they are merles is when they throw merle puppies. 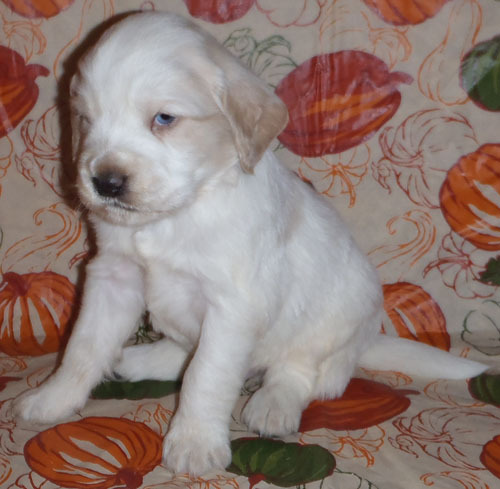 Other signs that a puppy is a merle, other then the obvious coloring, is sometimes a merle may have blue eyes, or one blue eye, or a partial blue eye. 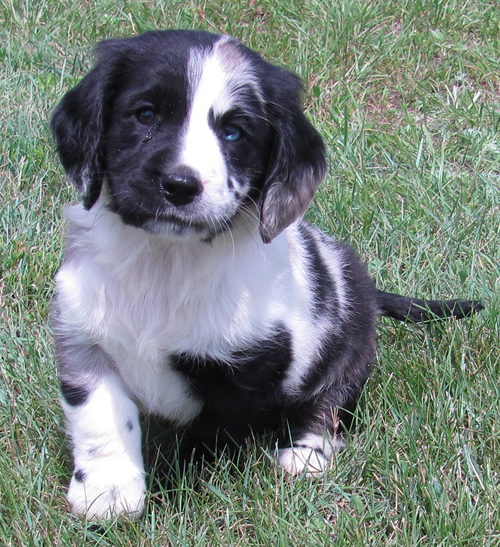 Also, after many years of breeding merles, I do know that often a merle puppy has a spotted nose when very young. The nose does turn black eventually.. But is spotted for a few weeks. A Merle can never be bred to another Merle! 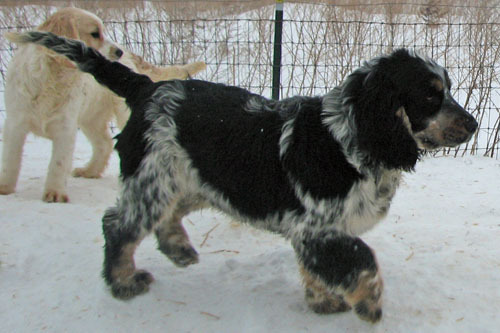 Resulting puppies from a merle to merle breeding may be born deaf, blind, or even dead? Therefore, it is important to know if a dog is a "hiddden" Merle or not? However, to be safe, we do not have any Merle males, or any males that even have Merle in their bloodlines! All of our Merles, even our hidden Merles, are females! Proven hidden merles that we have are Sprite, Pebbles, and Ellie. Ellie is proven to be a hidden Merle by a blue spot in one eye. Sprite is proven by having obvious Merle colored puppies. Pebbles is proven by having a bright blue eyed puppy! 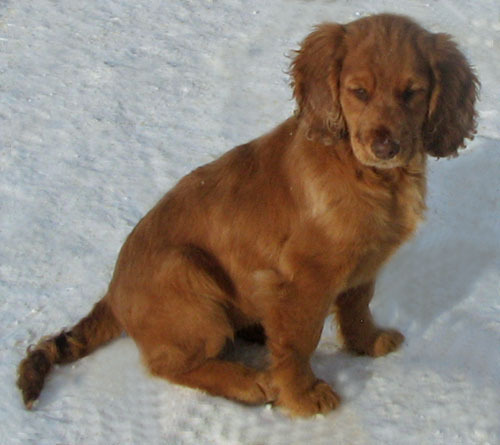 Sprite as a puppy, showing her spotted nose, which turned black when she got older. 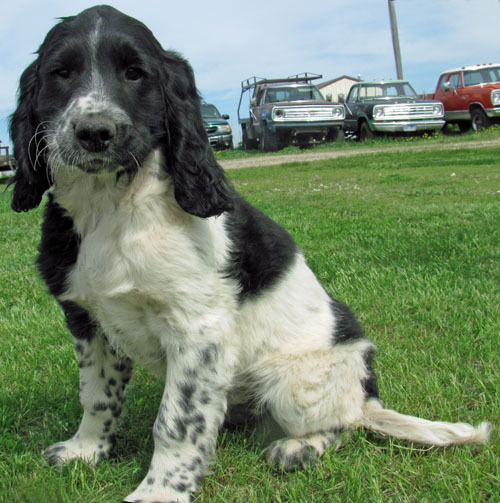 Pebbles as a puppy, also showing her spotted nose, which turned black when she got older. Snickers as a baby, showing her Merle spotting. Which has since Sabled over, and now she appears a reddish color. Mia, with one blue eye and one brown eye. 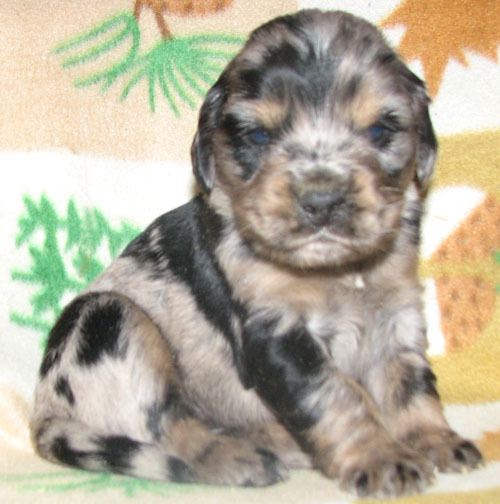 Merle puppy out of Sprite and Tiger, proving Sprite as a Merle. Blue eyed puppy out of Pebbles and Blue, proving Pebbles as a Merle. Black: We do not have any solid black parent dogs. We do not need to, because black is a fall back color, when both parents do not carry the same color genes. 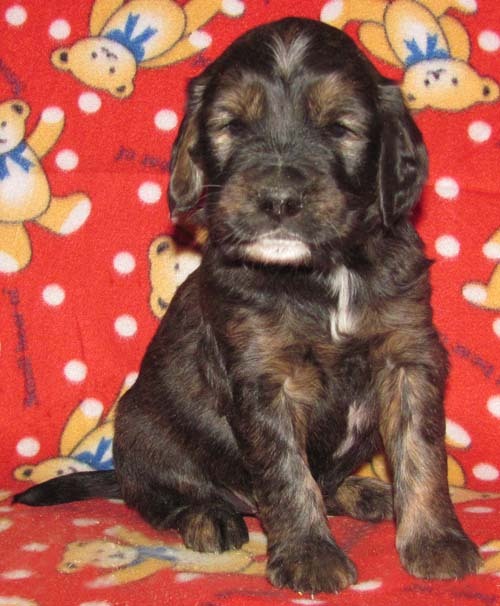 For example, if Tonka does not carry chocolate, any dark puppies out of Tonka and Cocoa will then be black. Also, if one of our darker colored dogs produce puppies that do not get any of the dilution or pattern genes, they will be black. 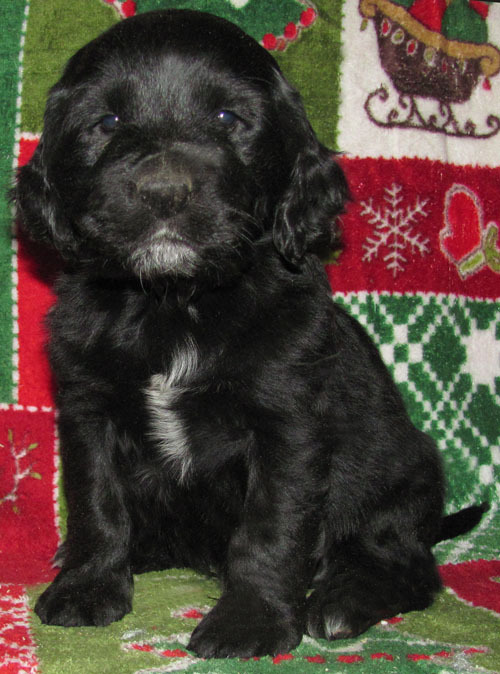 We can get plenty of solid black puppies without having any solid black parents. 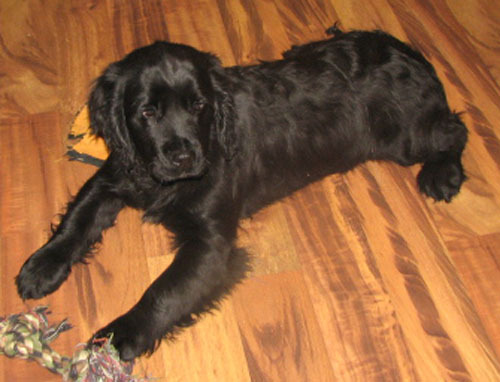 However, Black Sport Retrievers are beautiful, with very shiny coats! Sable: Also a dilution gene, which changes the color of dark base colors, like chocolate and black. 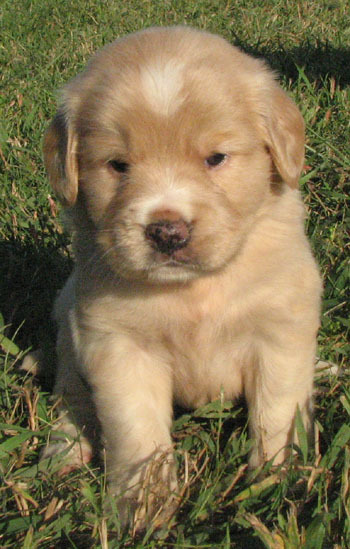 Cream/gold/red colored puppies do not show sable. Sometimes we do also get tan marked puppies, such as Black & Tan, which is thought to be a form of sable. We may also get Black Golds, which is also a form of sable, but is our rarest coloring! Sable, Black & Tans, and Black Gold puppies come from our Sable colored girls, Fawn & Snickers. When we ad Ed's bloodlines, we may get even lighter creams, which may appear almost white?